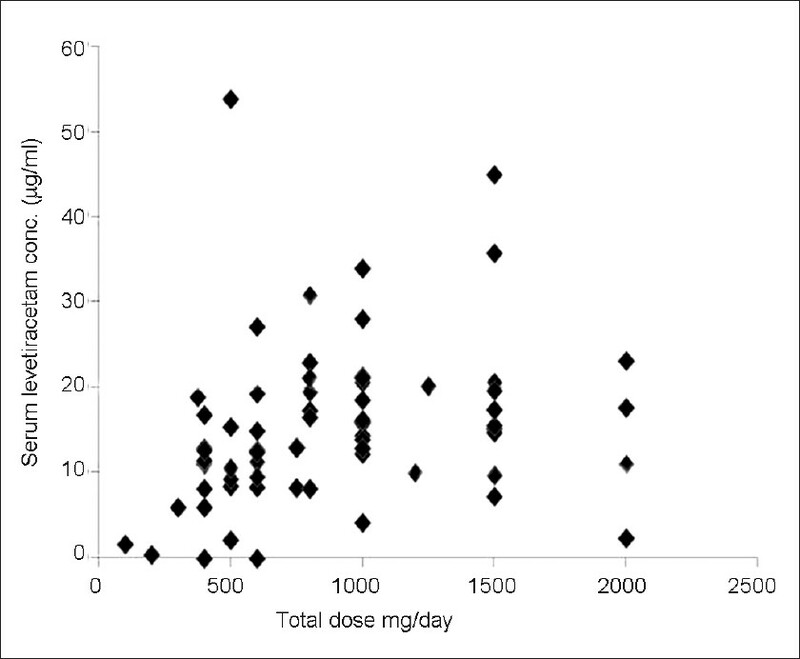 Background and Objectives: Monitoring of levetiracetam in routine clinical practice is not strongly recommended. The aim of this study was to investigate any difference in serum levetiracetam concentration between patients on enzyme-inducing and -inhibiting antiepileptic co-medication and also to identify any correlation between levetiracetam concentration and clinical response. Materials and Methods: This study included pediatric patients with epilepsy from a tertiary care referral hospital in India. Details of antiepileptic co-medication, seizure frequency before and after initiating levetiracetam were recorded. Serum trough levetiracetam concentration was measured. Results: Of the 69 children recruited in the study, 55 children had >50% reduction in seizure frequency compared to baseline seizure frequency. Eight patients showed no improvement. The serum concentration of levetiracetam was more than 10 μg/ml in 78.2% of responders and 75% non-responders. There was no difference in dosing between responders and non-responders. Patients on enzyme-inducing co-medication had lower median serum levetiracetam concentrations (7.3 μg/ml) compared to those on enzyme-inhibiting co-medication (14.4 μg/ml) or those without interfering antiepileptic co-medication (16.6 μg/ml). Conclusion: Levetiracetam monitoring has a role in patients on antiepileptic polypharmacy and for confirmation of compliance. Background: Patients with Guillain-Barré syndrome (GBS) require assisted ventilation frequently. However, no single factor can predict ventilator requirement. Aims: To identify clinical variables which could predict the need for mechanical ventilation in GBS. Settings and Design: Tertiary hospital-based retrospective and prospective study. Materials and Methods: One hundred and thirty-eight GBS patients studied were divided into two groups ventilated (Group 1) and non-ventilated (Group 2). Parameters assessed included age, gender, associated illness(es), antecedent events, first symptom at onset, time from onset to bulbar involvement, confinement to bed and peak disability, upper limb power and reflexes at nadir, presence of facial weakness, neck muscle weakness and autonomic dysfunction. Statistical Analysis: Multivariate predictors of ventilation were assessed using logistic regression analysis. Results: There were 53 patients in Group 1 and 85 in Group 2. The mean age in the two groups was comparable. On bivariate analysis, simultaneous weakness of upper (UL) and lower (LL) limbs as the initial symptom (P<0.001); UL power less than Grade 3/5 at nadir (P<0.001); presence of neck and bulbar weakness (P<0.001); shorter duration from onset to bulbar weakness and confinement to bed (P=0.001) and bilateral facial involvement (P<0.01) were more frequently associated with the need for ventilation. Preserved reflexes in UL at nadir was significantly associated with absence of the need for mechanical ventilation (P<0.01). On multivariate analysis, factors independently associated with the need for mechanical ventilation included simultaneous motor weakness in UL and LL as the initial symptom (P=0.02), UL power<3/5 (Medical Research Council grade) at nadir (P=0.013) and presence of bulbar weakness (P<0.001). Preserved reflexes in the UL at nadir was independently associated with a lesser need for ventilation (P=0.001). Conclusions: Comprehensive assessment of clinical features may predict the need for mechanical ventilation in patients of GBS. 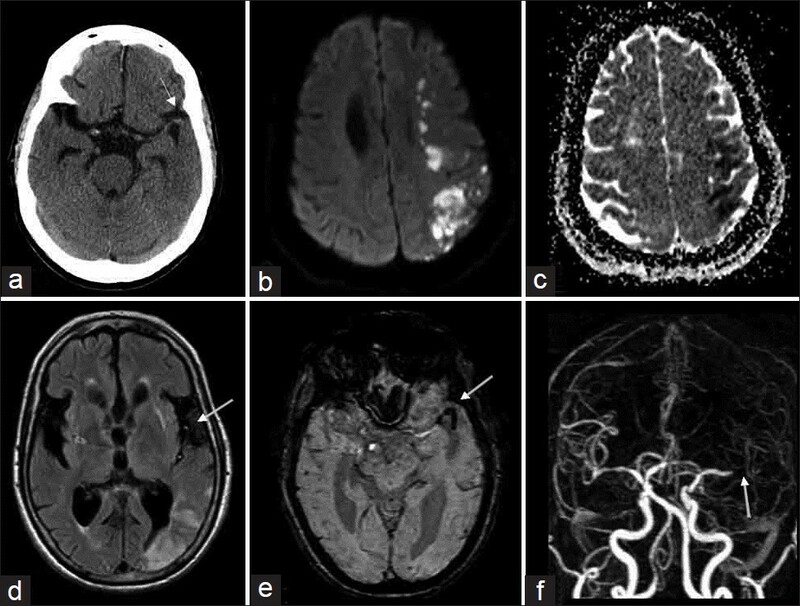 Background: With the widespread use of neuroimaging and hematological workup, many of the previously held concepts about cerebral sinus venous thrombosis (CSVT) are changing. Objective: The objective of this study was to investigate the risk factors, clinical profile, and outcome of the fully investigated cases of CSVT from a major university referral hospital in South India. 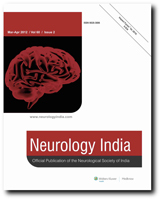 Materials and Methods: Consecutive patients of CSVT confirmed by definite neuroimaging criteria and fully investigated for prothrombotic states, between June 2002 and September 2010, were prospectively studied in the Venous Stroke Registry of Nizam's Institute of Medical Sciences, Hyderabad, South India. Results: Of the 428 patients, 230 (53.7%) were men and the mean age was 31.3 years (range 8-65 years). Seizures were noted in 126 (29.4%) patients, stroke like presentation was found in 122 (28.5%) patients, and benign intracranial hypertension like presentation was found in 78 (18.2%) patients. Common risk factors were anemia in 79 (18.4%), hyperhomocysteinemia in 78 (18.2%), alcoholism in 67 (15.6%), oral contraceptive pill intake in 49 (11.4%), postpartum state in 42 (9.8%), anticardiolipin antibodies in 31 (7.2%), and protein S deficiency in 53 (12.3%) patients. Good outcome at 90 days (modified Rankin Scale £ 2) was observed in 273 (71.2%) of 383 patients available for follow-up. In-house mortality was noted in 33 (7.7%) and recurrence in 22 (5.1%) patients. Conclusions: Compared to the previous studies, prevalence of CSVT was higher in men. Anemia, hyperhomocysteinemia, alcoholism, oral contraceptive use, and postpartum state were the most common risk factors. Overall prognosis was good, but a small percentage of patients died or showed recurrence. Background and Aim: Acute intra-arterial thrombus produces susceptibility artifact on gradient echo images (susceptibility sign). Our aim was to study the sensitivity and specificity of the susceptibility sign in various major intracranial arteries on susceptibility-weighted imaging (SWI) in patients with acute stroke. We also compared it with the 'hyperintensity sign' on fluid-attenuated inversion recovery (FLAIR) and 'hyperdense artery sign' on computed tomography (CT) for middle cerebral artery (MCA) occlusion. Materials and Methods : We have retrospectively studied 48 patients with ischemic stroke in various stages, due to intracranial arterial occlusions, for presence of 'hyperdense artery sign' (CT), 'hyperintense arterial sign' (FLAIR sequence) and 'susceptibility sign' (SWI). The sensitivity and specificity of each sign to detect intracranial arterial occlusion were calculated using the contrast-enhanced magnetic resonance (MR) angiogram as reference standard. Results: The sensitivity and specificity of the 'susceptibility sign' for detecting the MCA occlusion were 77% and 100% respectively (10 of 13).The sensitivity of the 'susceptibility sign' for detecting anterior cerebral artery (ACA) occlusion was 50% (1 of 2), 66.6% for posterior cerebral artery (2 of 3) and 75% for basilar artery (3 of 4). All the vertebral artery occlusions showed 'susceptibility sign' (6 of 6). Overall sensitivity and specificity of the 'susceptibility sign' for all acute major intracranial arterial occlusions were 82% and 100% respectively. 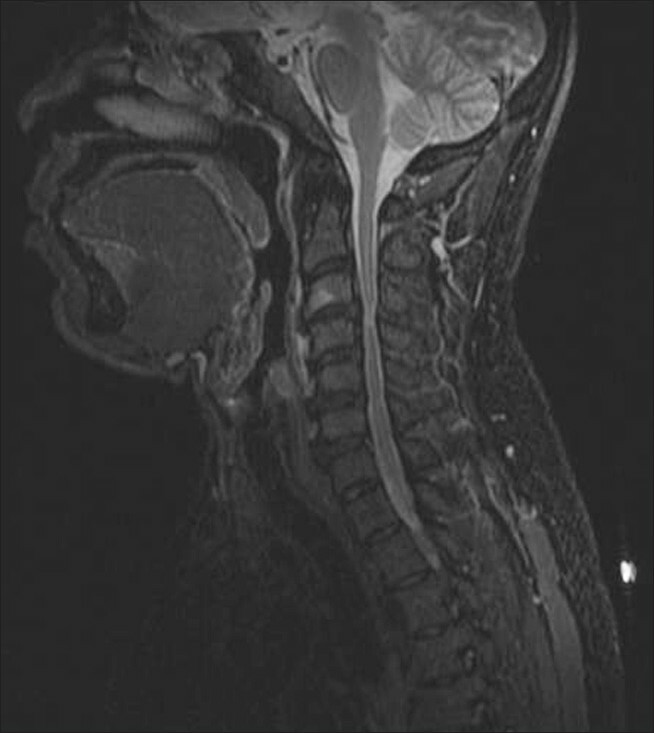 Only one of the two cases of subacute infarcts studied showed a positive susceptibility sign. 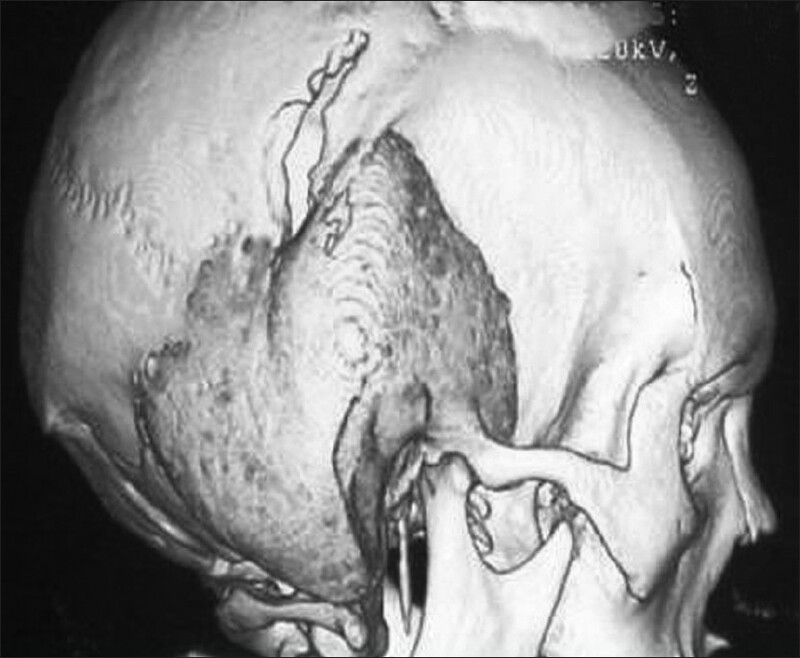 None of the 11 chronic intracranial occlusions and seven internal carotid occlusions showed the sign intracranially. 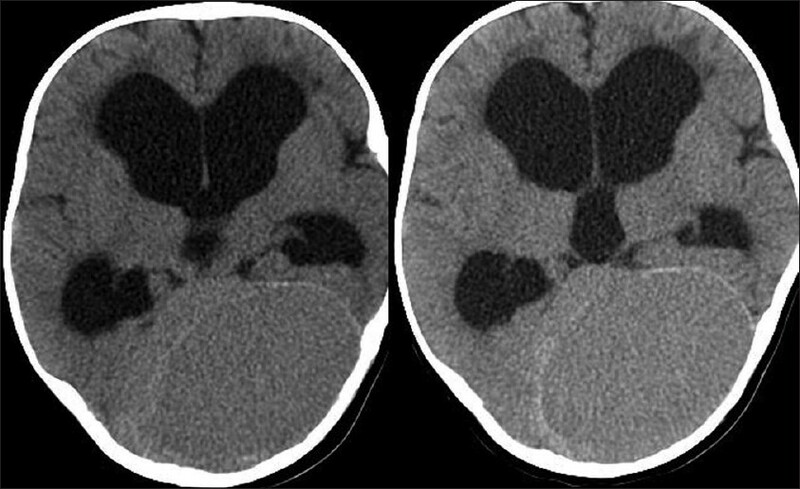 Conclusion: 'Susceptibility sign' is more sensitive in detecting the acute MCA thrombus as compared to 'hyperdense MCA sign' on CT and 'hyperintense artery' sign on FLAIR images. It also has high sensitivity and specificity for other intracranial acute arterial occlusions. Background: Transient ischemic attack (TIA) and minor ischemic stroke (MIS) are associated with early recurrence and deterioration respectively. The aim of the present study was to assess the risk of new cerebrovascular and cardiovascular events in a prospective, emergently enrolled patient cohort with TIA and MIS and the predictors of risk. Materials and Methods: Patients with TIA and MIS (NIH Stroke Scale [NIHSS] ≤ 5) presenting within the first 48 h between July 2008-June 2009 were prospectively enrolled. The primary outcome was new-onset stroke, TIA, cardiovascular events and vascular death at 90 days and early deterioration in patients with minor stroke. The 90-day outcome was also assessed (excellent outcome; modified Rankin scale [mRS] ≤2). Results: Eighteen (15.3%) of the 118 patients enrolled developed new cerebrovascular or cardiovascular events during the 90 days of follow-up, nine (50%) of which occurred within seven days. Of the all new events 5.9% (7/118) had new stroke, 4.2% (5/118) patients developed early deterioration, 2.5% (3/118) patients had recurrent TIA and 2.5% (3/118) had cardiovascular events at 90 days. Eight (6.7%) patients had poor outcome at 90 days (mRS>2). The factors predicting new vascular events were presence of coronary artery disease (CAD), and stroke etiology being large artery atherosclerosis (LAA). Conclusion: In patients with TIA and MIS, despite urgent evaluation and aggressive management, the short-term risk of stroke and other vascular events is high. Those with CAD and LAA should be monitored closely for early deterioration. Background: Acute febrile encephalopathy (AFE) is a clinical term used to an altered mental state that either accompanies or follows a short febrile illness and is characterized by a diffuse and nonspecific brain insult manifested by a combination of coma, seizures, and decerebration. Objective: To identify the etiological diagnosis and outcome in adult patients with AFE. Settings and Design: A prospective observational study was done in patients aged 14 years or above who were admitted with AFE at a tertiary care center in northwest India. Materials and Methods: The non-infectious causes of unconsciousness were excluded and then only a diagnosis of AFE was considered. Cerebrospinal fluid (CSF) analysis and imaging of brain was done to determine the possible etiology. Outcome was assessed at 1 month of follow-up after discharge by using modified Rankin Scale (mRS). Data were analyzed and presented as mean, median, and percentages. A P value of <0.05 was considered significant. Results: Of the total 120 patients studied, pyogenic meningitis was the most common cause accounting for 36.7%, followed by acute viral encephalitis (AVE) in 28.33% of the patients (Japanese B encephalitis in 12.5%, herpes simplex virus encephalitis in 3.33%, and other undetermined viral etiology in 12.5%). Cerebral malaria, sepsis associated encephalopathy (SAE), and tuberculous meningitis were diagnosed in 21.7%, 9.17%, and 4.2% of cases, respectively. Of the total, 16 patients died, 6 with AVE, 3 with pyogenic meningitis, 3 with cerebral malaria, and 4 with SAE. mRS at discharge was >3 in 14 patients with AVE (P < 0.001), and in the remaining it was <3. After 1 month, mRS was >3 in six patients with AVE and in the rest it was ≤1 (P < 0.001). Conclusions: In this study, pyogenic meningitis was the leading cause of AFE, followed by AVE and cerebral malaria. The outcome in cases with AVE can be fatal or more disabling than other etiologies. 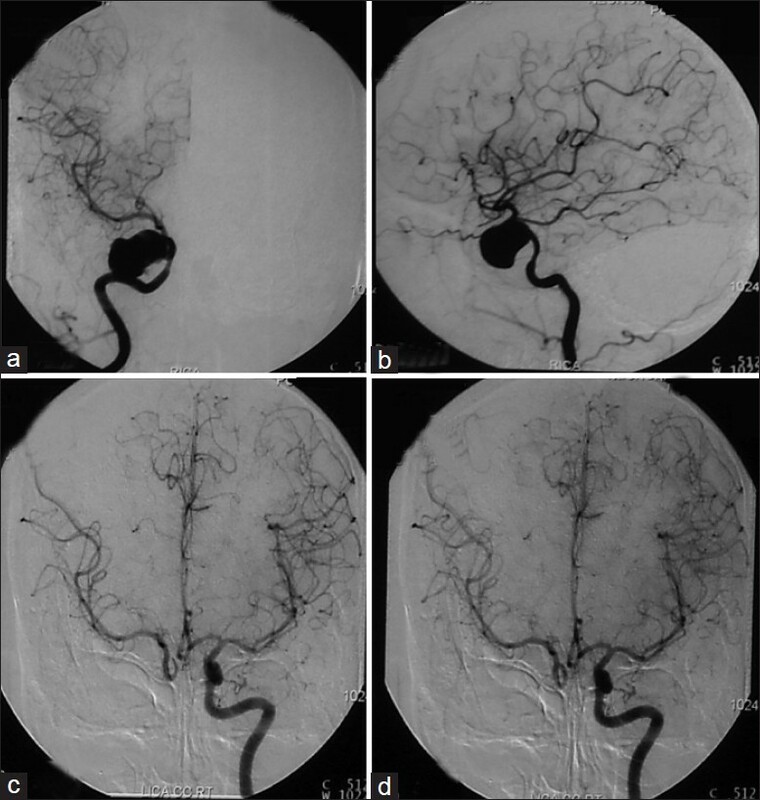 Objective: To demonstrate a technique of gradual monitored occlusion of the internal carotid artery (ICA) followed by ligation for giant aneurysms as an option for balloon test occlusion followed by permanent ligation of ICA. 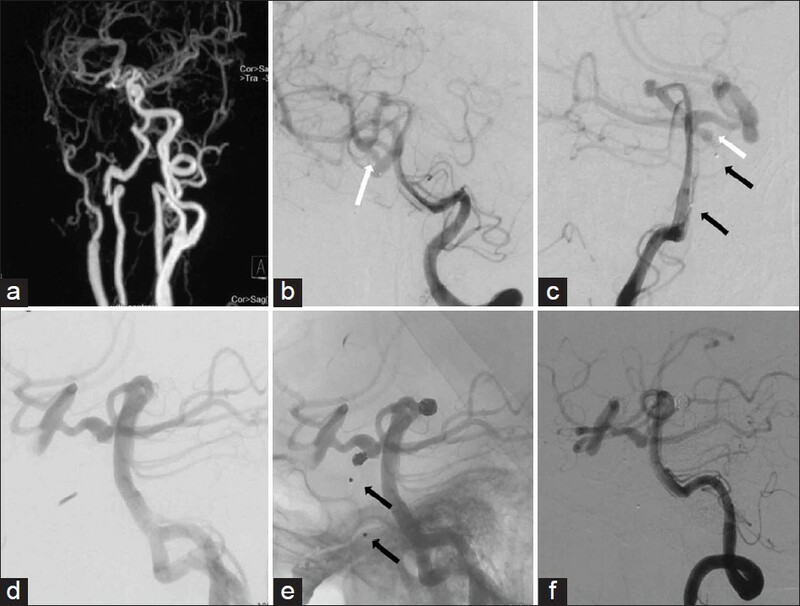 Materials and Methods: Authors retrospectively analyzed 27 patients with giant and complex ICA aneurysms who underwent carotid artery ligation between January 2001 and December 2010. Clinical presentation included headache, vision loss and diplopia. 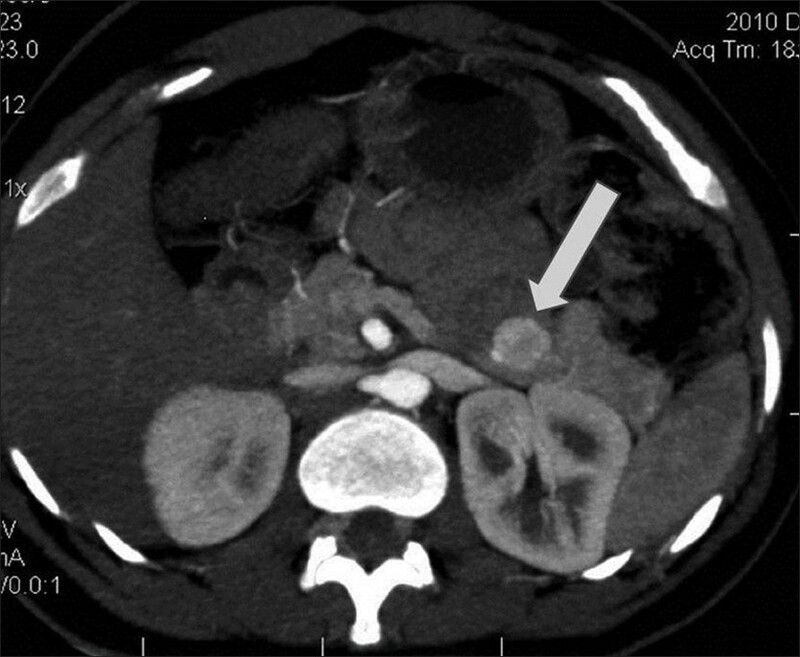 There were 19 patients with cavernous aneurysm, 5 supraclinoid, 1 ophthalmic, 1 petrous segment and 1 cervical segment aneurysm located extracranially. All demonstrated good cross-circulation. Selverstone clamp was used for gradual occlusion of the ICA over 72 h under closed observation in the intensive care unit. 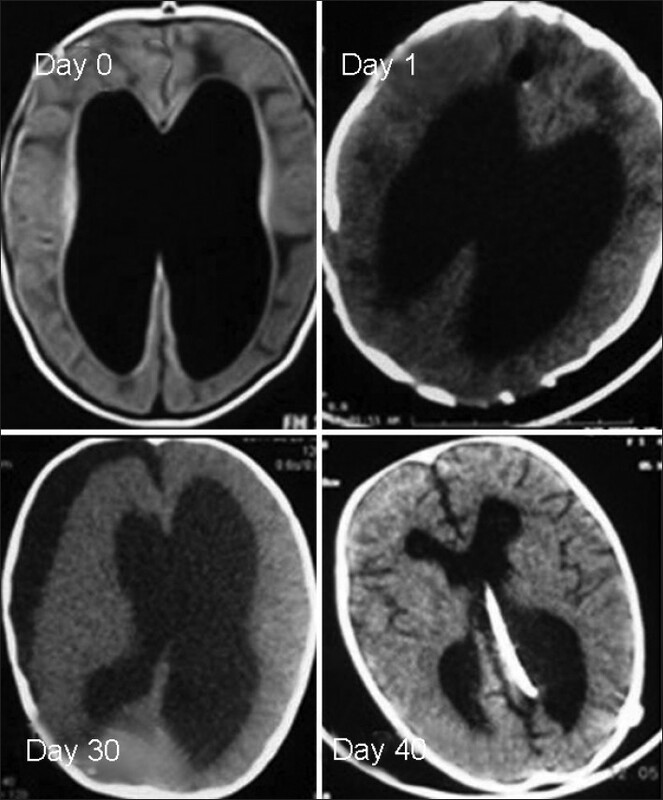 Results: Six patients developed hemiparesis in the postoperative period. 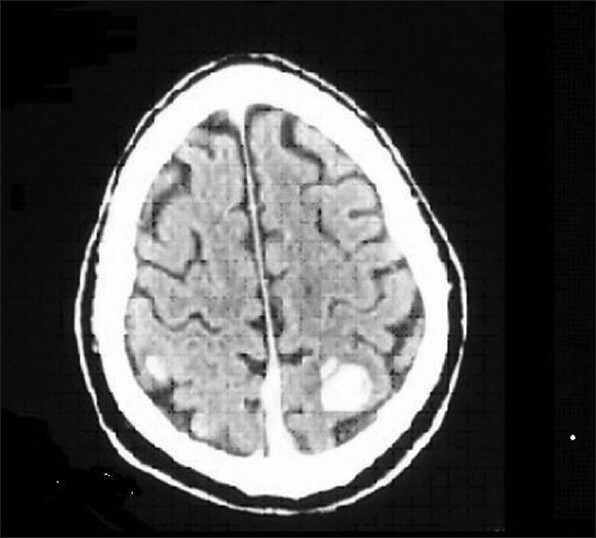 Improvement occurred in one patient over two to three weeks while the remaining five patients had residual hemiparesis. 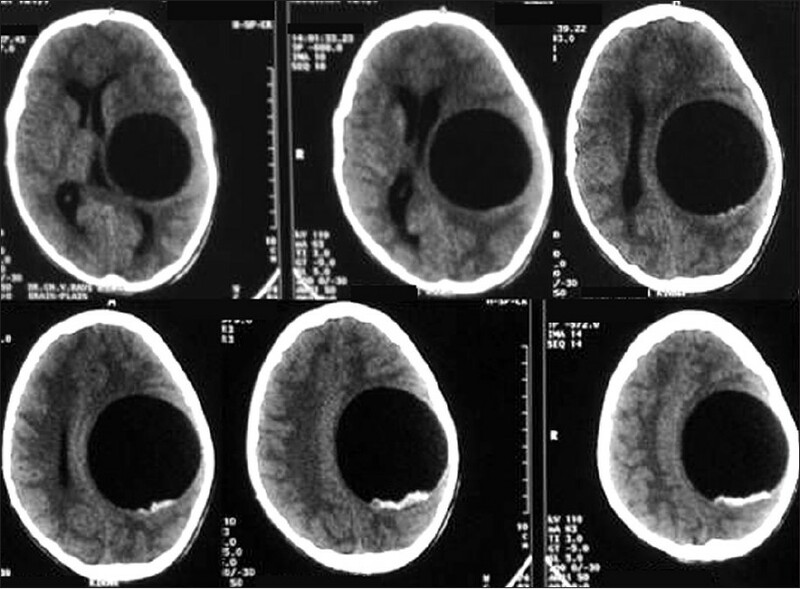 One patient developed malignant MCA infarct for which decompressive craniectomy had to be done. There was no mortality in the present series. Conclusions: Gradual monitored occlusion and ICA ligation may be a simple, safe alternative procedure to clipping in surgically inaccessible and complex aneurysms, especially for surgeons with limited experience. Cross circulation study is an absolute requisite for carotid ligation. Aims: To evaluate the feasibility of using the Willis covered stent in the management of patients with traumatic carotid-cavernous fistulas (CCFs). Materials and Methods: Twelve consecutive patients with 14 post-traumatic CCFs referred for treatment with Willis covered stents were enrolled in this prospective study. Data on technical success, initial and final angiographic results, mortality, morbidity and final clinical outcome were collected. Follow- up was at one, three, six, and 12 months, and yearly thereafter. Results: Deployment of covered stents was technically successful in all the patients without complications. One covered stent was placed in eight patients and two covered stents in four. Angiographic results following stent placement showed a complete occlusion in nine patients with 11 CCFs, and an incomplete occlusion in three patients. Angiographic follow-up (mean, 14.00 ± 6.93 months; range, 6-24 months) revealed complete occlusion and no obvious in-stent stenosis in all the patients. Clinical follow-up (mean, 17.75 ± 7.05 months; range, 7-28 months) demonstrated full recovery in 11 patients, and improvement in one. Conclusion: This initial experience indicates that the use of the Willis covered stent is a feasible procedure and may be an alternative treatment option for CCFs. 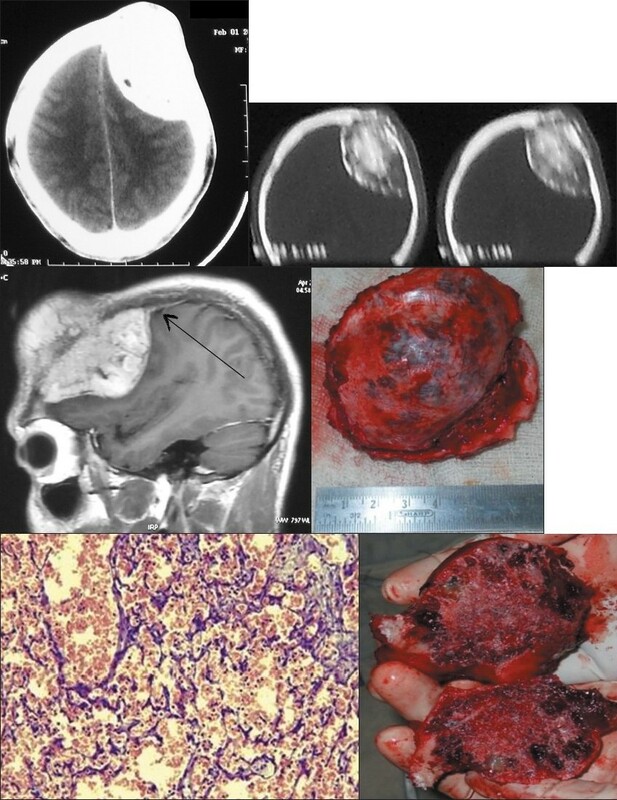 Background: Surgery for recurrent gliomas is often undertaken in select cases. Equivocal oncological outcomes of such surgeries are responsible for much of the controversy surrounding its role. Adding to the dilemma is the perceived increased morbidity associated with redo surgeries. Lack of studies and absence of uniformity in reporting outcomes is partly responsible for this. 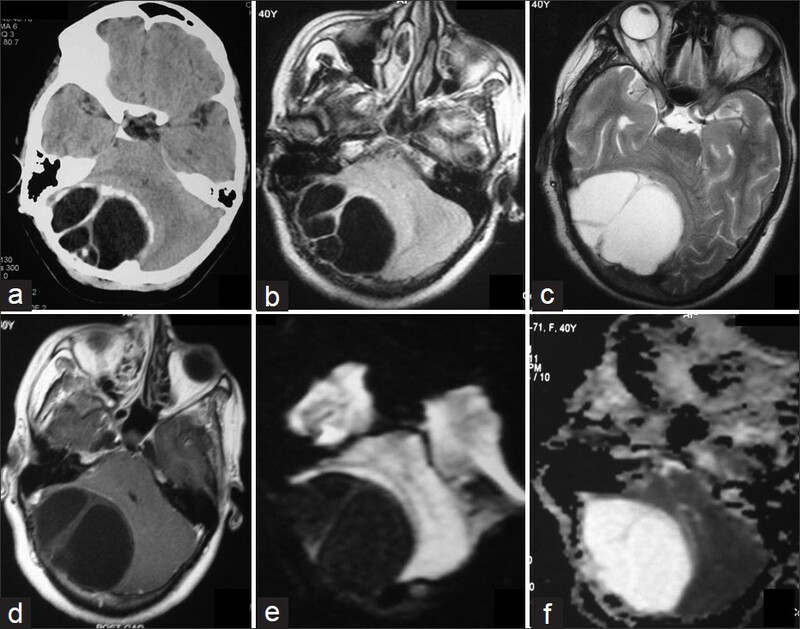 We evaluated our perioperative outcomes in recurrent malignant gliomas with the aim of documenting these objectively. Materials and Methods: A consecutive prospectively maintained database was queried for all redo surgeries in malignant gliomas performed at our referral neuro-oncology center. Demographic, clinical, surgical, and perioperative details were retrieved. Perioperative outcomes were objectively categorized as neurological (major/minor, transient/prolonged), regional, and systemic complications, along with overall morbidity and mortality. A similar analysis was performed for all craniotomies for intra-axial tumors. Results: Forty-one surgeries for recurrent malignant gliomas (from a database of 196 craniotomies for all intra-axial tumors) were evaluated. Neurological worsening occurred in 22.2% (12.2% major), whereas 44% showed improvement in the pre-existing deficits. Besides, regional and systemic complications occurred in 14.2% and 4.8%, respectively. Overall morbidity was 29.3% (major in 14.6%) and mortality was 2.4%. Though not significant on multivariate analysis, prior treatment was an important predictor of increased regional complications. 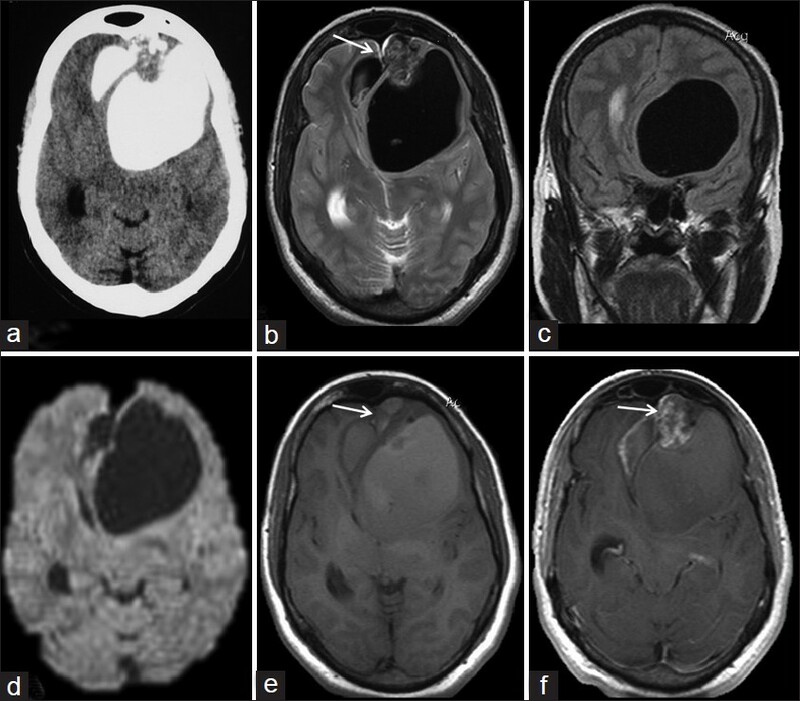 Conclusions: Neurological morbidity after surgery for recurrent gliomas is acceptable. Surgery also provides a high chance of restoration of neurological function. Though regional complications can be significant and need to be given cognizance when reporting perioperative outcomes, they are not alarmingly high. Careful case selection can ensure optimization of these outcomes. Background: Three-dimensional (3D)-computed tomographic angiography (CTA) has been widely used for surgical simulation of intracranial aneurysms. Stereo imaging technology is progressing rapidly in recent years and stereo imaging may make more realistic surgical simulation possible. Therefore, we aimed at the establishment of a technique for stereoscopic viewing of minute volume rendering images while pursuing a low cost. 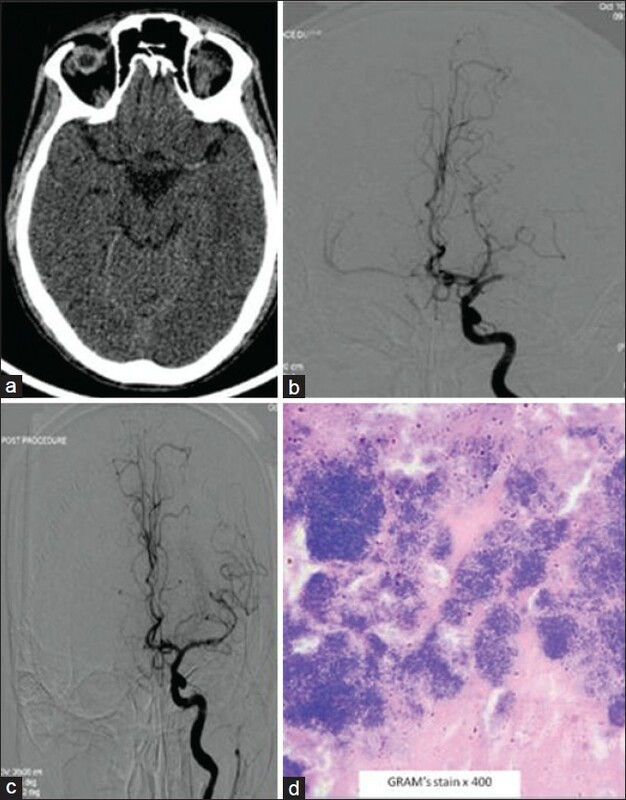 Materials and Methods: Between January 2009 and June 2011, 54 patients with ruptured intracranial aneurysms were enrolled in this study. CTA data was transferred to the workstation equipped with image-processing software, and multilayer fusion images were processed by neurosurgeons. Image data for stereoscopic viewing of multilayer fusion image from arbitrary directions were collected form rotational trajectories around an aneurysm and were output to MPEG file. Stereoscopic viewing using MPEG data was achieved by the freeware named Stereo Movie Maker. Stereo viewing method using QuickTime VR format was also tried. 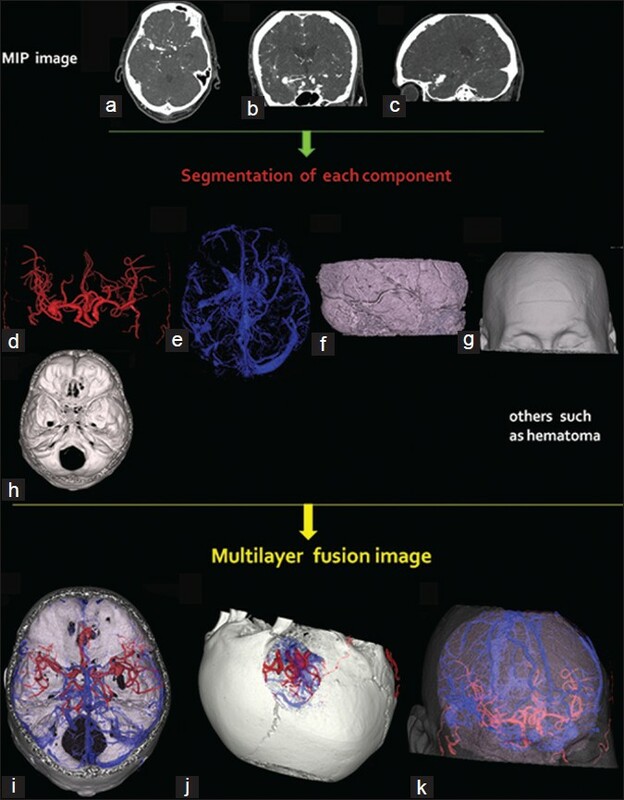 Results: Multilayer fusion image created from CTA data displayed clearly the anatomical information about not only the aneurysm but also the surrounding structures, such as parent artery, venous system, brain tissue, skull bone, and scalp. The quality of the resulting multilayer fusion image was suitable for surgical simulation with virtual reality. Virtual realistic surgical simulation became possible by the combination of minute multilayer fusion image and stereoscopic viewing by our method. Conclusions: Our method for stereo viewing of multilayer fusion images resulted in an improvement in the capability of diagnostic imaging and the image-guided support for neurosurgical procedures in intracranial aneurysm. Cervical spondylotic myelopathy (CSM) is emerging as the most common cause of spinal cord dysfunction in the elderly worldwide. 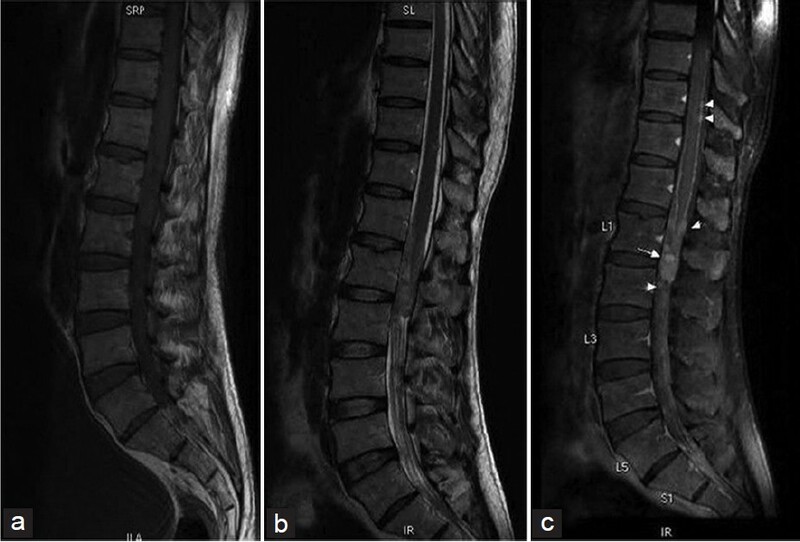 In the past decade, our understanding of the biomechanics of the spine has improved along with advances in spinal instrumentation and this has led to significant changes in the surgical management of CSM. 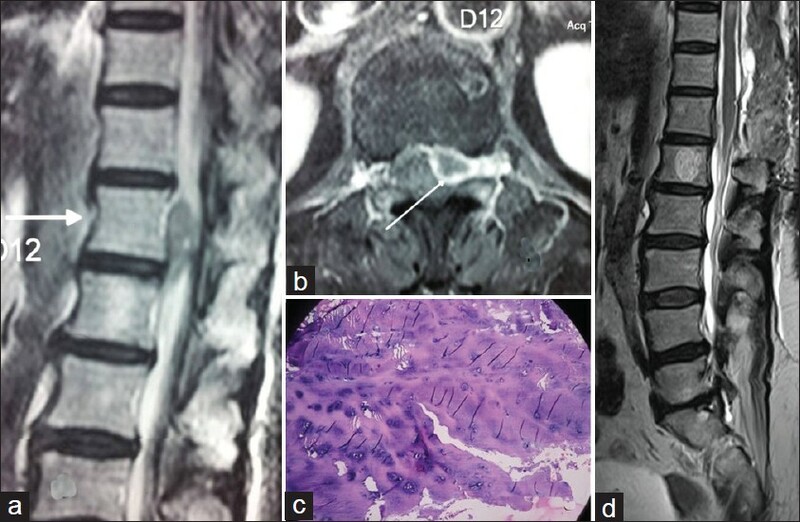 This review will discuss the indications, advantages and limitations of different operative approaches as well as the complications and prognosis of surgery for cervical spondylotic myelopathy. Choice of surgical approach for CSM should be based on the clinical and radiological characteristics of the individual patient and not on the preferences of the surgeon. 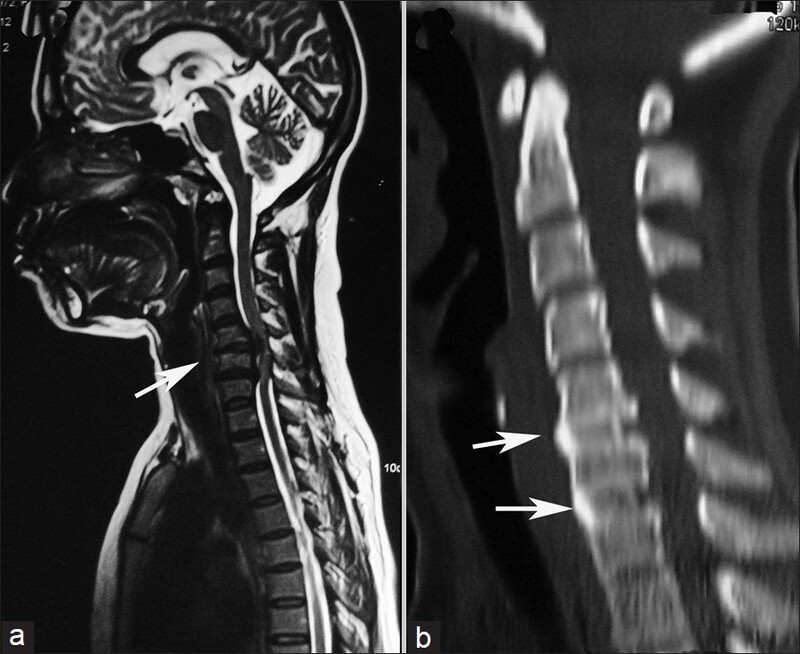 Background: Hirabayashi open-door laminoplasty is the most typical surgical treatment option for cervical compressive myelopathy, however, this conventional approach has many complications. To minimize these complications, many modified approaches have been devised. Aims: To compare clinical outcomes of two different types of open-door laminoplasties for cervical compressive myelopathy. Materials and Methods: Fifty patients (31 men and 19 women) with cervical compressive myelopathy were prospectively allocated to two groups, 25 patients in each group. Patients in Group A underwent Hirabayashi open-door laminoplasty and patients in Group B underwent modified instrumented approach. The following parameters were studied: operation time, blood loss, perioperative complications, Japanese Orthopedic Association (JOA) scores, axial pain, and short-form 36 (SF-36). 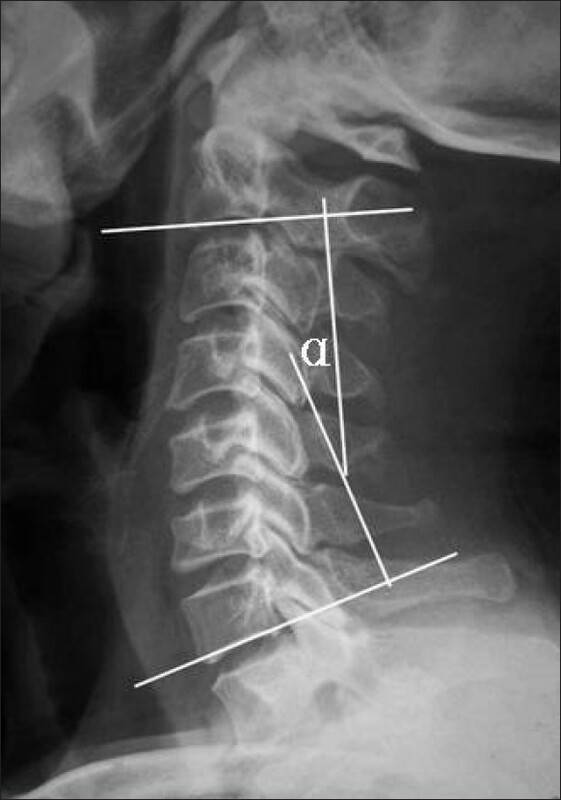 Cervical lordosis was reviewed as lordotic angle, measured at C2-C7. Results: Mean operation time and blood loss in both the groups were similar. Perioperative complications occurred more frequently in Group A than in Group B. Although there were no significant differences in postoperative JOA scores between the two groups, axial pain was significantly decreased in Group B at final follow-up. The scores of all subscales of SF-36 were higher in Group B than in Group A. Conclusion: Both the conventional and instrumented techniques provide similar good results but the instrumented technique provided better axial pain relief and lower incidence of perioperative complications. Objective: To document the temporal progression and spatial distribution of prevertebral soft tissue swelling (PSTS) after central corpectomy (CC) and to determine the variables affecting its severity. Background: The natural attributes of PSTS following CC for cervical spondylotic myelopathy (CSM) have not been characterized in literature. 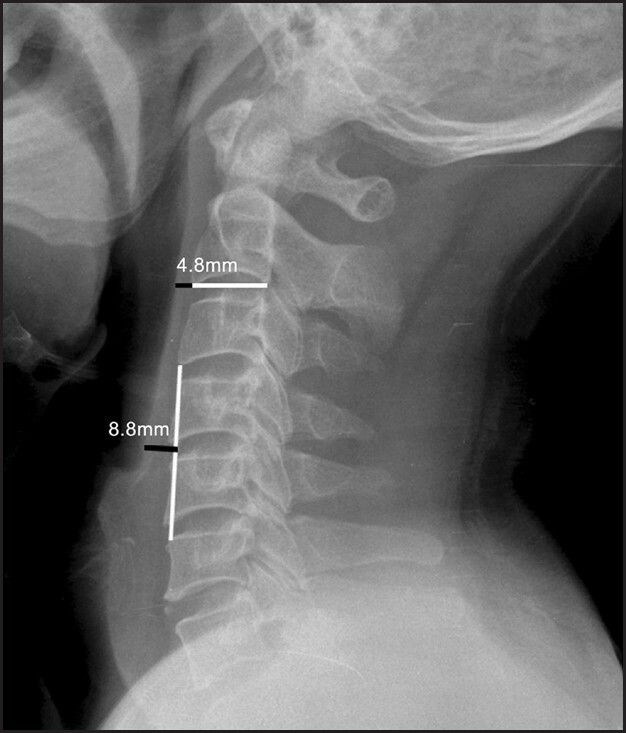 Materials and Methods: PSTS was measured at the C2 level and midpoint of the operated segment on lateral radiographs of the cervical spine taken pre-operatively and post-operatively (day 0, day 3/4, day 5 and day 6/7) in 93 patients with CSM undergoing one to three level uninstrumented CC. Patient's age, weight, Nurick's grade, number of corpectomy levels and intubation time were correlated with the PSTS. Results: Proportionately, the swelling was maximal at the C2 level rather than at the level of CC, on all days, irrespective of the level of surgery. At the C2 level, the increase in PSTS was maximum by day 3/4 (P = 0.0001), whereas at the CC level, the PSTS continued to increase till day 5 (P = 0.0001). PSTS was higher in patients undergoing a three-level CC and in those with inclusion of C4 in the CC (P = 0.002). Conclusion: Patients undergoing CC are at risk for upper airway obstruction mainly at the C2 level in the first 3 days after surgery due to the PSTS. Those undergoing three-level CC, or having inclusion of C4 in the CC, have a greater degree of PSTS and have a higher risk of post-operative airway obstruction. Background: Manganese toxicity may lead to a levodopa-resistant akinetic-rigid syndrome. Pathological changes occur mostly in the pallidium and stratium. Materials and Methods: We report seven patients with a new form of chronic manganese toxicity due to long-term intravenous use of a solution consisting of ephedrine, acetylsalicylic acid and potassium permanganate as a psycho-stimulant, popularly known as "Russian Cocktail". Results: The age of the patients ranged between 19 and 31 years, and the duration of substance abuse was between nine and 106 months. The onset of symptoms from first use ranged seven to 35 months. The initial symptom was impaired speech followed by gait disturbance and bradykinesia. In addition to these symptoms, choreic movements, ataxia presenting as backward falls and dystonia were also seen. Serum and urine samples revealed high levels of manganese. 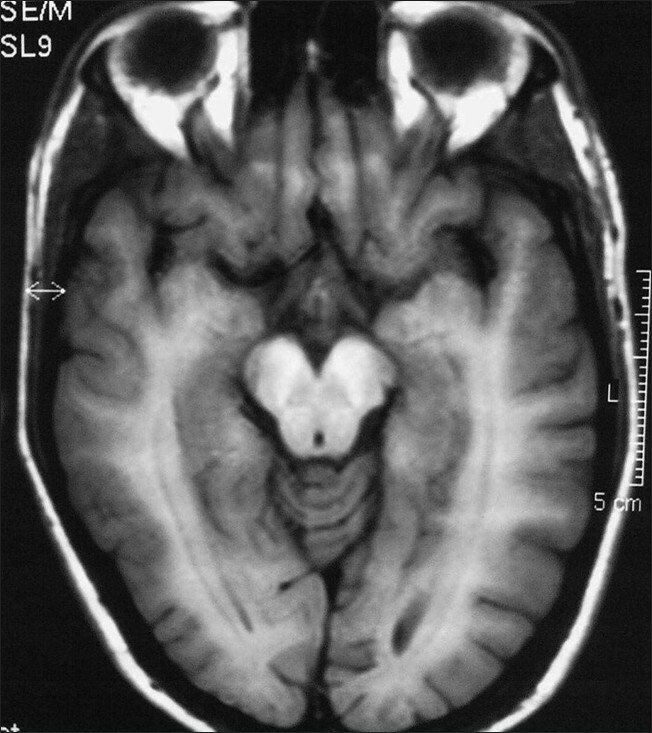 Hyperintense lesions on T1-weighted magnetic resonance imaging were seen in bilateral basal ganglia and brainstem, dentate nuclei, features consistent with manganese intoxication. Conclusion: Manganese toxicity, which may cause a distinctive irreversible neurodegenerative disorder, can be seen frequently with "Russian Cocktail" abuse, a substance which can be accessed very easily and at a low cost. Posterior cerebral artery-posterior communicating artery aneurysms are rare and not well documented. 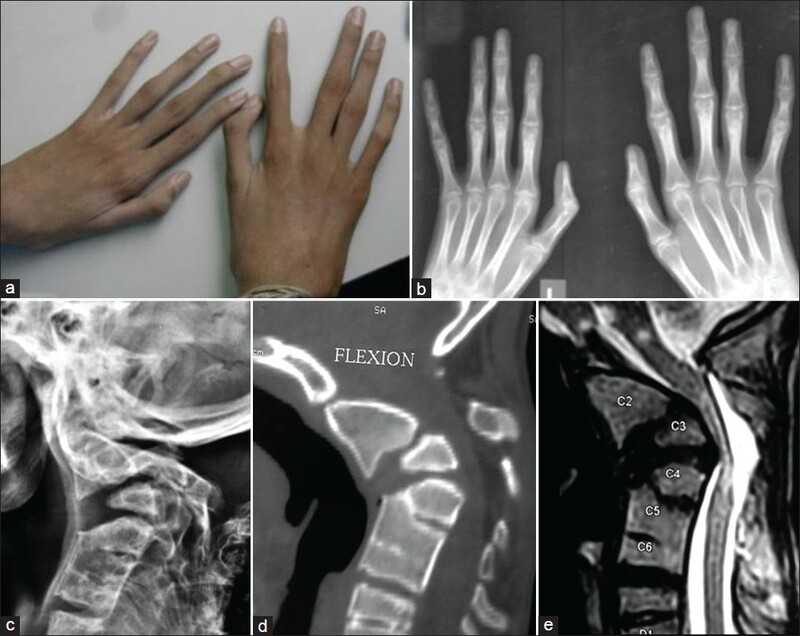 In this article, we report five such cases and review four similar cases by searching the PubMed database through the years 1980-2011 to study the occurrence and treatment of this rare entity. Despite tuberculosis (TB) being endemic in many parts of the world, its prevalence in infancy is low. Neurotuberculosis in this age is even rarer and presents either as meningitis or intracranial tuberculoma on the background of exposure to the disease. 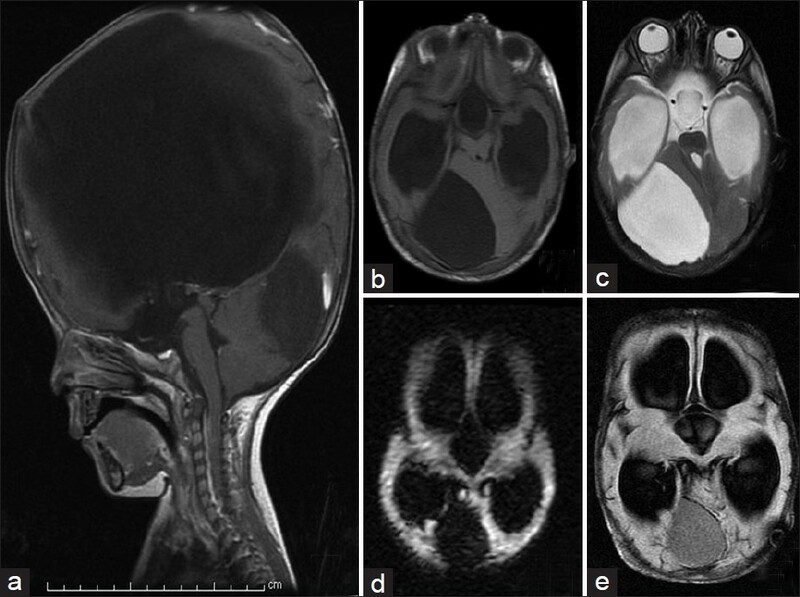 We report occurrence of multidrug-resistant tuberculous subdural empyema in a three-month-old girl as the initial presenting manifestation of TB in the absence of any exposure to the disease. She was successfully managed with surgery and drugs with good outcome at 18 months.